This is a continuation of the earlier article – The Best Herbal Oils for Hair, Cooking & Aromatherapy. I will be covering all of the herbal oils mentioned in that article over the next few weeks, what they’re best used for and best recommendations. Eucalyptus oil is an essential oil distilled from the eucalyptus plant. The plant comes from a tree native to Australia although it’s grown all around the world. The smell is quite strong although not unpleasant. Traditionally, eucalyptus oil was used for medical conditions such as colds, coughs, acne, fever and joint pain. It is used as an insecticide and an antiseptic as well, and as a fragrance in cosmetics. 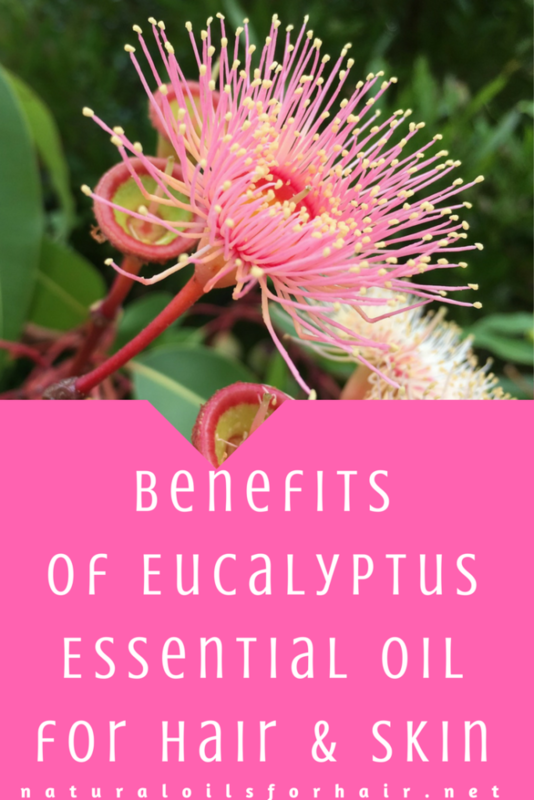 As with all essential oils, eucalyptus oil shouldn’t be applied directly to the skin. It needs to be diluted significantly with an appropriate carrier oil. Some of favourite carrier oils include olive oil, coconut oil, grapeseed oil and sweet almond oil. You can also mix it with other essential oils like rosemary, tea tree, peppermint and lavender essential oil. As an agent in the relief of scalp conditions such as itchiness and dandruff. My favourite conditioner of all time is Trader Joe’s Tea Tree Tingle Peppermint & Eucalyptus Conditioner. You can also make your own mix at home with the carrier oils mentioned above and 5 – 10 drops of eucalyptus oil per 2 oz bottle. As a hair loss treatment. Adding it to your scalp massage oil will help stimulate your hair follicles. 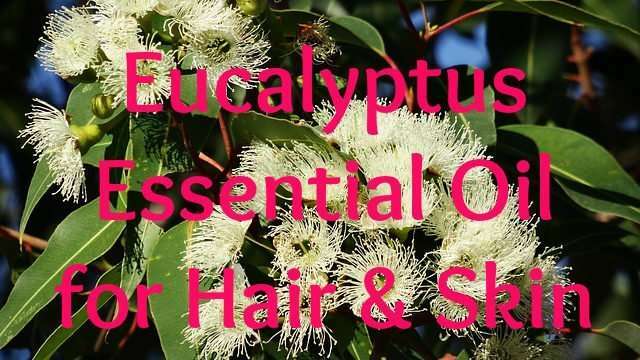 Incidentally, eucalyptus oil is also one of the ingredients in the super hair growth oil I’m currently developing & testing. You can also add a few drops to your shampoo. It gives a tingling and pleasant sensation which increases blood circulation to the scalp. As an ingredient in your hairspray while protective styling. Read 4 Essential Oils to Keep Your Braids Moisturised & Refreshed. As an ingredient in a toner, which can be used to treat acne and breakouts. You can make your own toner with ACV and a few drops of eucalyptus oil. As a rule, 5 – 10 drops of eucalyptus oil is fine for most preparations up to 8 oz. You can increase the drops as the bottle gets bigger but be careful as overuse can seriously irritate your skin and scalp. You can also start with only a few drops just to see how your scalp and skin react to it before you move on to the recommended usage. Your essential oils should come in a dark amber coloured bottle with a convenient dropper included and should be stored in a dark and cool area. 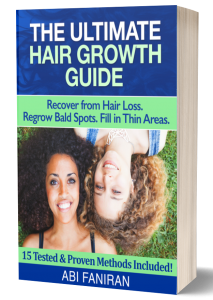 There’s a whole chapter in there dedicated to the role of essentials oils in recovering from hair loss as well as the best essential oils for hair loss and how to combine them with natural oils. Learn more about the book and grab up to 20% discount HERE.